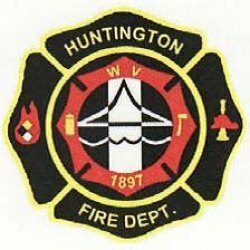 Ray Canafax, President Local 228 Professional Firefighters Association, told Huntington City Council Monday, Sept. 10, that the possible pattern of firefighter sick leave abuse identified by Mayor Kim Wolfe at the Wednesday finance meeting does not exist. 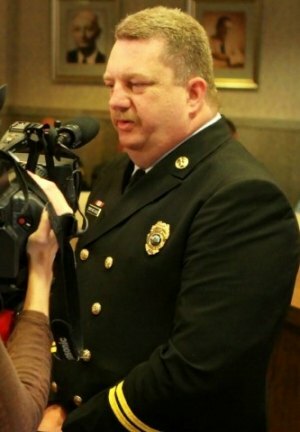 Rather than demonstrating a pattern of abuse, he described the vacation/sick day attendance records examined so far as representing “legitimate reasons” where firefighters have chosen to switch from sick time to annual leave (vacation time). Leave does not accumulate and must be used in full by year’s end. Sick days that are not taken during a calendar year, roll over into the sick leave ‘savings’ , allowing accumulation of a lengthy sick period for use during a major illness. Although he intends to talk to the remaining seven, Canafax brought 80 records from which nothing, he said, stood out. The union president did not rule out an “individual” problem, which the chief and union would look into. Significantly, since “a meeting with the Mayor and fire chief Randy Ellis, we have been able to maintain our 25 people every day” staffing with all trucks in use. The finance committee gathered to look into rapid use of the unscheduled overtime line item, from which the department would draw to bring in replacements. 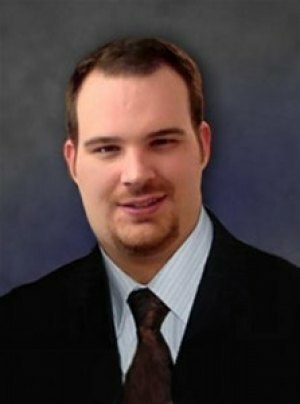 When the department used $72,000 of its U-OT in $200,000 in three pay periods, Wolfe modified the policy to not call in a replacement for a sick firefighter and worked with Chief Ellis by delaying the start dates of new hires and hiring ten, not eleven firefighters to keep the budget in check. However, Dale Anderson II, a former mayoral candidate and Huntington Tea Party member, supported Mayor Wolfe for demonstrating transparency and in a HNN column portrayed the pattern as jointly sick leave abuse and misuse of taxpayer’s money. Following the council meeting, at which Brandi Jacobs-Jones, director of finance and administration, substituted for an ill Mayor Kim Wolfe, HNN asked Anderson for his reaction to Canafax’s remarks. “Ultimately, the council is fiscally responsible. But this is a personnel issue that needs to be worked out within the department with the mayor’s guidance. We give them a chance to work it out. If it can’t be [resolved by them], then, council should by all means get involved. I’d like to thank the Finance Committee and Steve Williams for their support in last Wednesday’s meeting. The Mayor and Fire Chief had a meeting, and since that time, we have been able to maintain our 25 people on a truck (sic) every day. At the Finance meeting, the mayor passed to members of council in attendance a sheet that detailed fourteen individuals on the fire department that [the administration said] shows a pattern of sick time abuse. I would like to point out I have here [ the folders of] everyone else employed by the HFD, a little over 80… [they] show[ed] up nothing at all. “I have obtained a copy [of the submitted sheet] and I’ve talked to half of the fourteen individuals identified. From what they have told me, some of these reasons are absolutely legit reasons, things such as having an illness flare up and they have had to take off a sick day. Other than continue to burn additional sick days, they have moved a vacation closer to that sick time, so they are using time they have to use by the end of the year, as we do not have carry over vacation time. If they had used sick time, they would still have to take that vacation time off some other time in the year. So, they chose to move the vacation (day) closer to them. Others ranging from things, a family member that is the only care taker for their children being in hospital having surgery (whatever the case may be) and they have had to take time off to be home with the child. I’ve got a list of what those seven individuals have told me. I wasn’t able to get a hold of the other seven yet today (Monday). I’ll continue to try to find that out. What they are doing … we have vacation time we have to use at some point throughout the year, we can’t carry it over if we don’t use it, we lose it. If we move that vacation time over and use it in lieu of taking sick time , or additional sick time, then we’re not taking off sick now and taking off vacation time later and being off an additional amount of time. Not to say that is okay, but that may be the case that they are doing something that they should not be. I don’t feel that they are, but there may be a few that are. If that is the case, I’m sure the fire chief may be looking into that and addressing that issue on an individual basis and the union will be working with the fire chief, as well. We have to look into these things. We don’t want to see any kind of abuse either, just as you have said, but, the one’s I’ve been able to identify by doing a little homework and research, not all of these are creating any kind of pattern. IF you look at their previous years of employment with the city, it’s not a pattern, it’s not something they are doing on a yearly basis. They have had something come up that they aren’t able to take off work for and either have to be at work, be sick or be on vacation. They are using vacation time in lieu of using it at a later date. They are not wasting sick time and OT money from the fire chief’s budget. I do not think what [the mayor] identified here and gave to the finance committee is something to be concerned with . I have looked into it, I believe the chief has as well, and, if there are patterns shown, I’m sure the chief will look into. As a whole, I don’t think there is any kind of a problem. I’d like to thank you for your support and council’s continued support in trying to keep our trucks staffed every day.